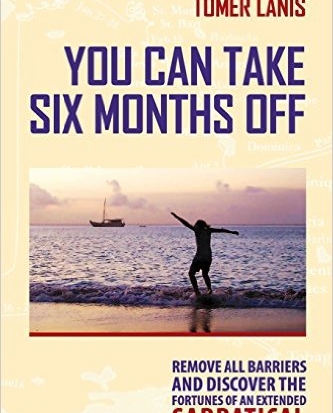 “You Can Take Six Months Off” is a new book by adventurer Tomer Lanis. We’ve got our copy, and heartily recommend adventurous travelers, like you, get one too! Can you afford to take six months off to travel with your family? The idea might sound impossible or impractical, but it’s not out of reach! Adventurer Tomer Lanis shares his formula for taking such a trip in his new book You Can Take Six Months Off. Lanis emphasizes the ideas of living deliberately, following your passion, and dedicating more time to your loved ones. Time is a precious resource and even though your sabbatical might be unpaid, the experience itself remains priceless. Thinking and reflecting from a new perspective is a unique opportunity to redirect your path. You Can Take Six Months Off inspires everyone to consider taking a sabbatical, not just academics. If you’re not a member of the academic community talking to your employer about unpaid leave, or potential paid sabbatical leave, will open the door to your options. Some companies outside of academia already understand the increased loyalty, engagement, and satisfaction that come along with allowing sabbatical leave for their employees. And if it brings specific, quantifiable value to your company, you might even qualify for paid sabbatical leave. Otherwise, you must negotiate your position, your employer’s position, and be flexible. Next steps to realizing your sabbatical include assessing your expected expenses, planning a budget, and staying committed to your goals. For example, posting a home rental listing for the time your home is vacant can help you earn reasonable rent while you’re away. With a background in project management, Lanis gently sails you through the process step-by-step, addressing areas of major importance. 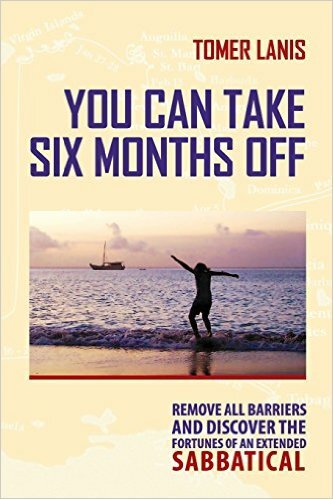 You Can Take Six Months Off is punctuated with Lanis’ anecdotal adventures spent during his sabbatical at sea. They are as entertaining as they are illustrative to the value of time well-spent together. When you finish the book, you will find yourself asking, how can I not afford to take the time to travel with my family?